Over 1 MLN illegal migrants have been expelled from Russia since the beginning of the year, according to the Deputy Director of the Federal Migration Service. Migration personnel regularly check markets for compliance with the legislation. Two weeks before the New Year the usually populated markets in the Khabarovsk region are half-empty. Instead of cheerful holiday sales, gloomy Chinese workers pack their goods. According to the Russian government’s decision, the number of marketplace jobs for foreigners will be cut at the beginning of the year. Trade inspectors take a special interest in Chinese traders, saying their products often don’t comply with standards. “Chinese goods often don’t have information in Russian, or translation to prove that the items are safe and of good quality. This is a regular thing for market stalls,” says Nina Pinegina, Deputy Head of Customer rights service in Khabarovsk. 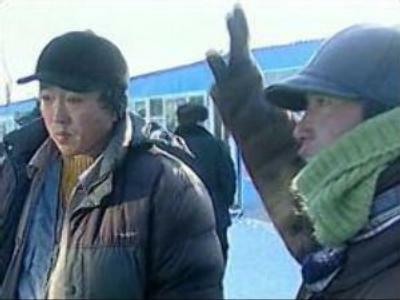 Around 10,000 legal Chinese migrants are currently working in the Khabarovsk region. As for illegal workers, no migration service has been able to count them so far. The mass departure of Chinese workers is most likely to hit pensioners and people with low incomes. They’ll now have to buy gifts from Russian traders, who import smaller lots and fix higher prices.